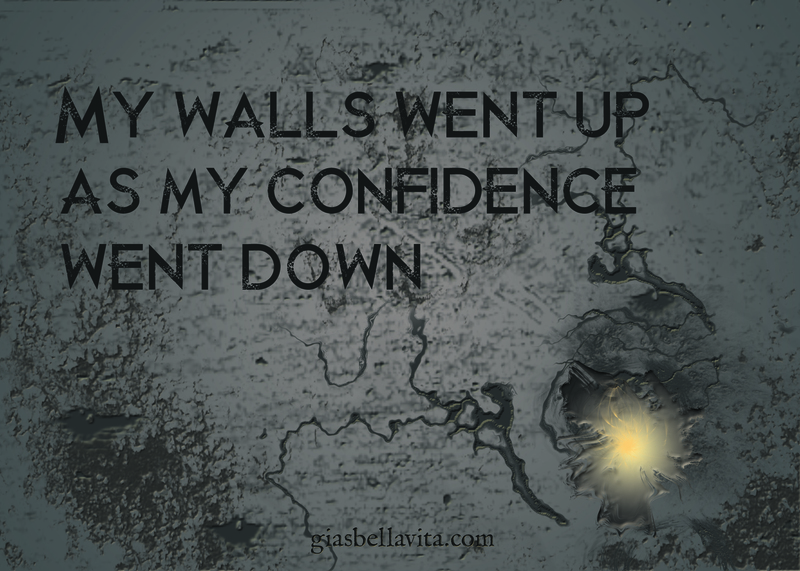 The the more I slipped into depression the more my walls went up. I stayed to myself more and more. Lost my confidence, lost friends that didn’t understand my self presevation, lost motivation for life in general. I thought I was protecting myself, but came to realize the barricaides were only making things worse. I took this quote and made a wall with a hole looking through to the bright side. I plan on pounding through until they are torn down. Depression and lack of confidence are ugly battles, but ones that can be won. We are beautiful beings. Finding our light, our purpose, or our voice, and sharing it with others carries our beauty to others in need. My eyes have opened so much in the past year. I hope my light shines in others.